These disorders are caused by a brain injury that occurs before birth, during birth, or within the first few years of life. 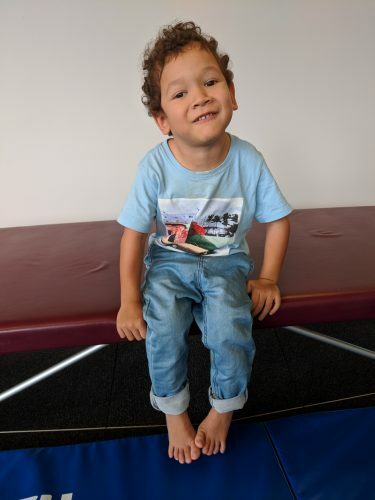 The injury does not damage the child’s muscles or the nerves connecting them to the spinal cord – only the brains ability to control the muscles. When an adult has a stroke they will engage in intensive therapies for years to regain function – children often having the exact diagnosis are labelled with Cerebral Palsy and not treated until symptoms become ‘bad enough’ to warrant attention. Karen Pape who wrote ‘The Boy Who Could Run But Not Walk: Understanding Neuroplasticitiy in the Child’s Brain’ believes in “a cure for some, improvement for all” and there is so much literature now to suggest the vital role early intervention plays in regaining brain function. For adults who are reading this, the first understanding for many of you, will be the willingness to investigate the possibility of change. In my experience, most of the adults that I have met, have initially resisted the possibility of change. This is not surprising. You grew up and were treated in an era when human neuroplasticity was denied. It is now an accepted scientific fact that our brains can change and improve throughout life. Equally, dealing with body malalignment issues is now a much more advanced science. The first step is the courage to be open to new possibilities. Oral motor function – Speaking, swallowing, feeding, breathing. You have probably been asking questions about your child’s development since they were born. “What can I expect from my baby?” When will my baby walk? How can I help? How can I maximise their learning potential? Increase their ability to move and give them the best quality of life? Early intervention is the key – the brain and central nervous system are most susceptible to change during the first 5 years of life. You as a parent/caregiver will gain expertise through observing these specific therapautic movement patterns and then learn handling techniques/therapy for you to continue with your child at home. Movement is fun and novel. Your child will very much enjoy these new movement sensations and begin to feel mastery over their bodies and the world around them. Promoting feelings of self confidence and curiosity rather than frustration at not being able to seek, play or participate with toys or their siblings. You will learn how to turn everyday experiences into learning experiences. Creating connections for your child to move through milestones - to roll, crawl, sit independently and walk. Feeding, bathing, toileting and dressing methods that utilise positioning devices, adaptive equipment, modification of the environment and handling techniques for optimal independence. Modification of sensory tracts as a result of sensory input to strengthen their use of touch (tactile), sense of balance (vestibular), and to have an awareness of where their body and its parts are in space (proprioception).